Ever heard the phrase, “There’s nothing new under the sun,” or maybe even, “History repeats itself”? Of course you have, because there’s nothing new under the sun, and history repeats itself. Right, let’s get back on track. 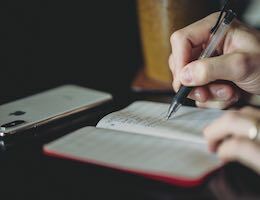 GIFs are a great example of history repeating itself, and if you’re going to be along for the ride, you’re going to need a GIF keyboard to keep up. 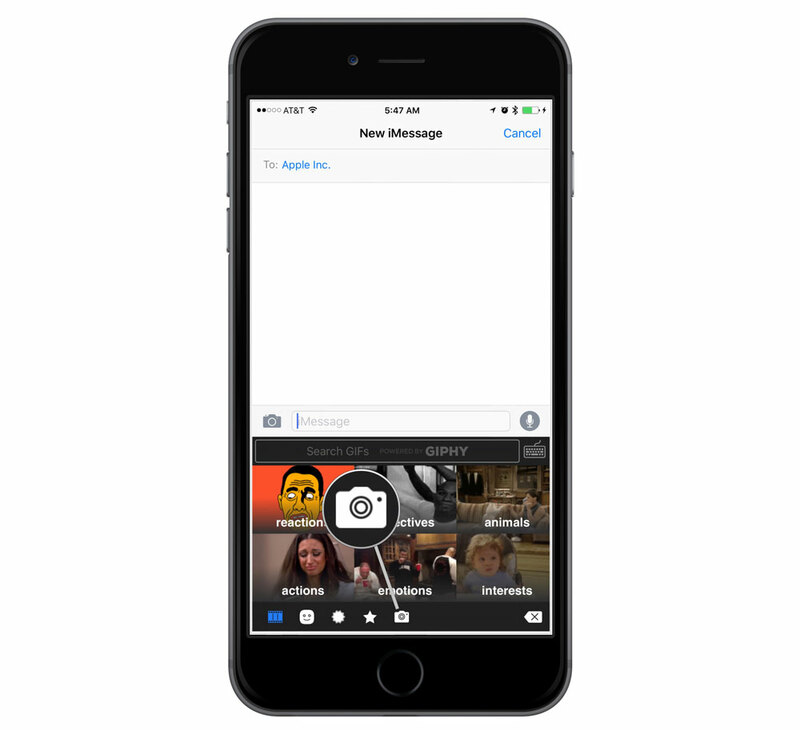 A GIF keyboard is a third-party keyboard for iOS that lets you easily find and share GIFs in your favorite apps. It’s a handy way to send an animated GIF in Messages or avoid the uncertain nature of the Slack add-ons that allow GIFs to be easily added in a conversation. GIF keyboards usually let you search by keyword or scroll through categories to find the perfect reaction. You then use iOS’s built-in copy and paste functionality to post or share the GIF. We GIF’d our way through the App Store to find the one GIF keyboard that stands above the rest. Design: Look, if we’re going to be sending loads of GIF reactions, we’re going to want something nice to look at and easy to use when we’re doing it. GIF Library: Does the keyboard have a jam-packed, diverse selection of GIFs? We don’t want to send the same “Star Trek face palm” over and over again. Speed: When it comes to GIF reactions, you’ve gotta be quick; the last thing you need is your friend beating you to the perfect Beyoncé GIF. 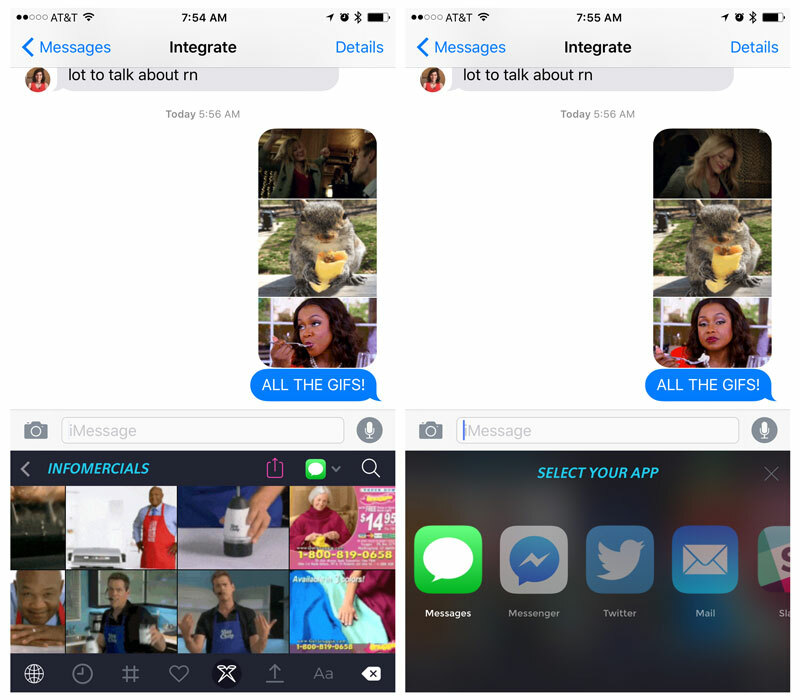 Sharing: Different apps and services accept GIFs in different ways. Can the keyboard share GIFs as easily on Twitter as it does on Slack? What about Messages? Price: We should be able to send GIF reactions without breaking the bank. Does the keyboard strike a nice balance between functionality and cost? iGIF Keyboard succeeds in being both simple and intuitive. 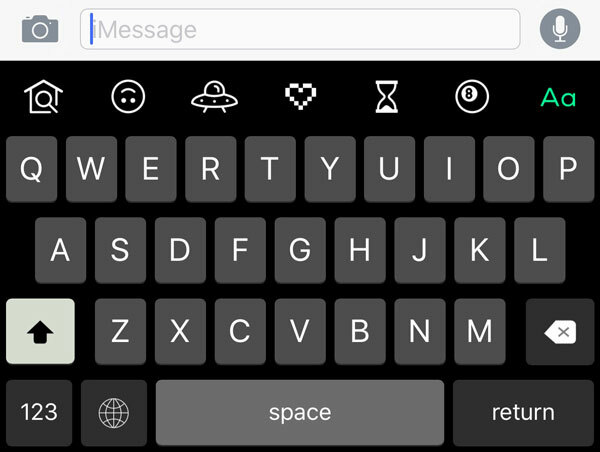 The keyboard is similar to the stock iOS keyboard and even features a trendy dark theme. And if you’re particularly adventurous, you can download custom themes from the app’s website. More importantly, it’s a cinch to search for and navigate through the GIF library. 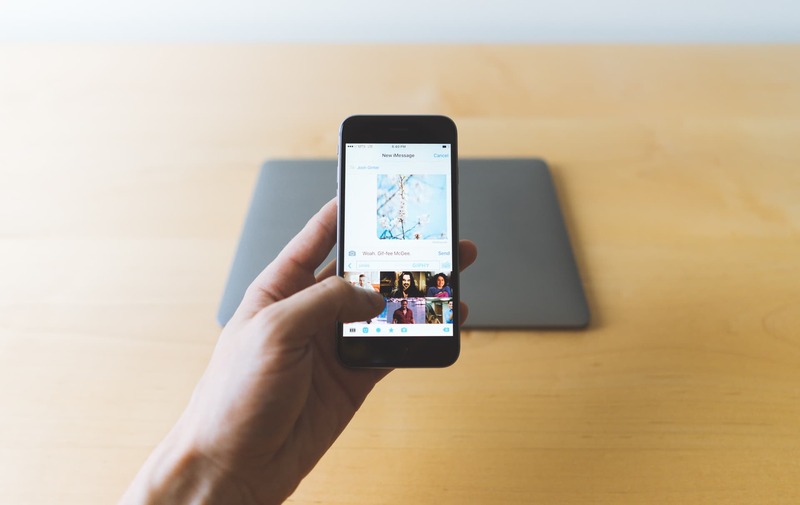 GIFs are organized in different categories and subcategories — you simply tap to drill down until you find the perfect GIF. Alternatively, you can use the search bar to skip the categories and go straight to a grid of GIFs that match your search query. What we like most about the design of this app is that it’s not overcrowded — there’s a place for everything and everything’s in its place. Some of the GIF keyboards we tested were confusing because of poor navigation choices and a cluttered user interface. Remember what we said before about a lack of diversity among GIF keyboards? That goes double for the GIF libraries from which they pull. 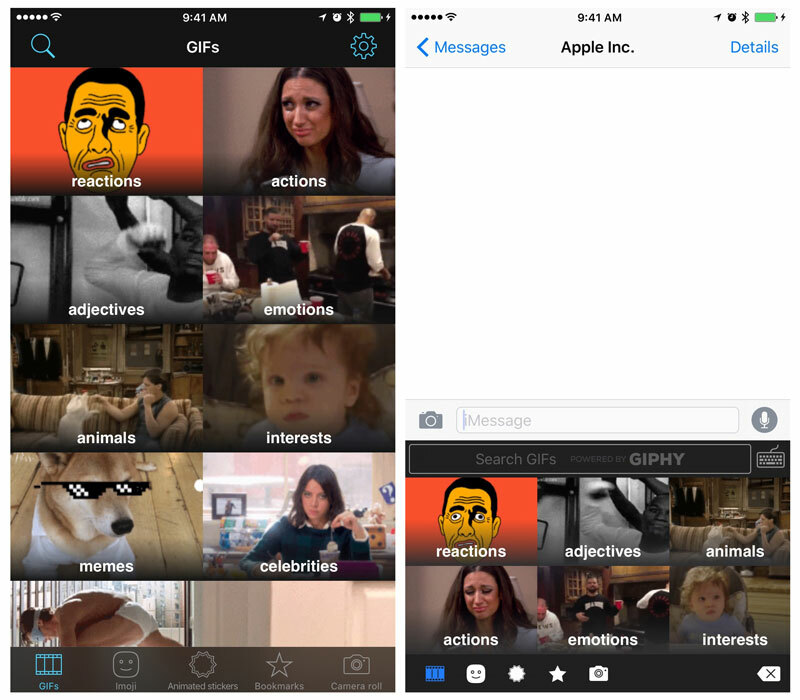 Chances are if you’re using a GIF keyboard, your animated emotions are coming from Giphy. The site has all but claimed a monopoly on GIF hosting and creation, and its open nature makes it easy for developers to plug in to the database so you can find that perfect Orange Is the New Black moment. Unsurprisingly, iGIF Keyboard goes above and beyond the call of duty and integrates the imoji sticker library. Think of stickers as slightly more detailed emoji — in fact, some of them are even animated. But what do you do if GIFs and stickers just aren’t doing it for you? 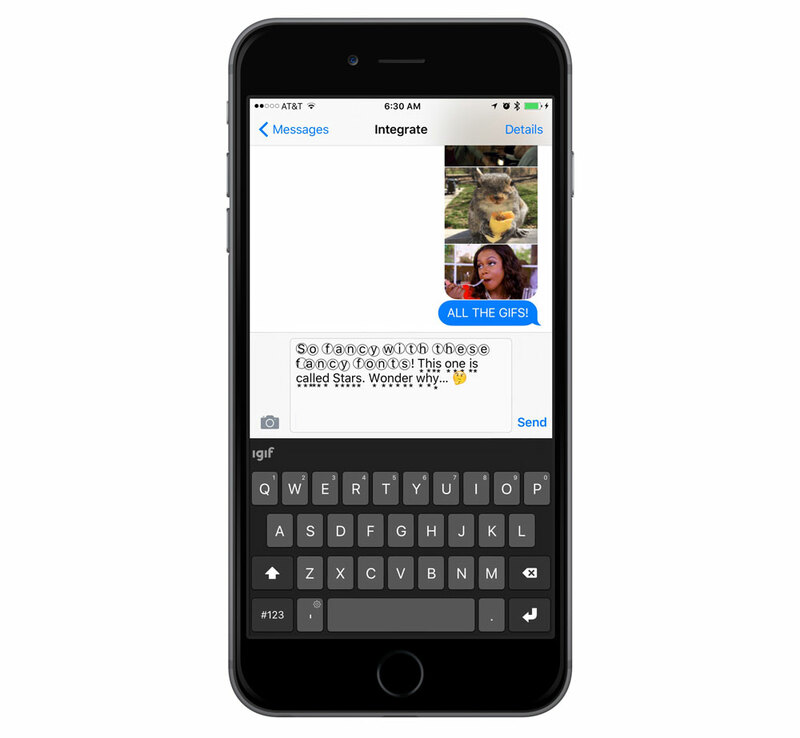 The keyboard turns your Live Photos into GIFs so you can share them with your non-iPhone-touting friends. How does one truly test the speed of a GIF keyboard? By having a group chat with a bunch of millennials, of course! We put iGIF Keyboard and its less-impressive cousins to the test by hosting a couple GIF-laden group messages. While iGIF didn’t much stand out in its ability to outpace the other keyboards in GIF-finding (they’re all really good at helping you find GIFs), it was really good at also being a regular ol’ keyboard. While the other GIF-ers were furiously switching between the iOS keyboard and a GIF keyboard, we were content to both search for GIFs and typing on the keyboard. iGIF Keyboard is unique in that it features text suggestions and keyboard shortcuts — that’s not something you often find in uni-tasking keyboards. While it’s true other keyboards we tested featured some sort of text-entry option, none of them made typing as easy, quick, and accurate as iGIF Keyboard. 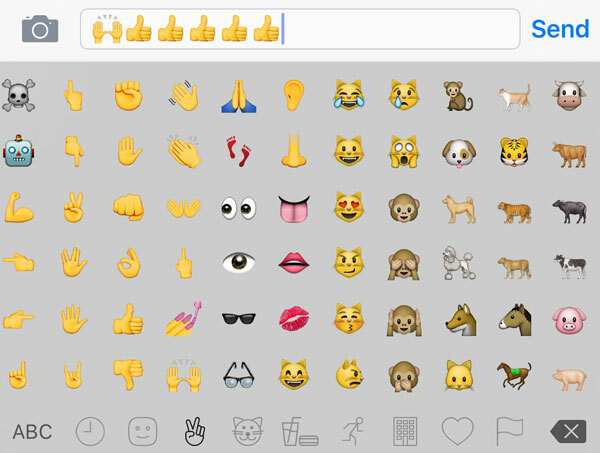 It even has its own emoji-picker. If you’re gonna commit to GIF reactions, you need to go all the way. And that’s only going to work if you have a GIF keyboard that works on all sorts of social networks and messaging platforms. A small number of the keyboards we tested left a lot to be desired when it came to sharing support, but the greater majority featured many different sharing options — just how we like it! iGIF Keyboard gets a point in our scorebook for how easy it is to share a GIF in Slack, on Twitter, on Facebook, in an iMessage conversation, etc. If the simple copy and paste command doesn’t work for the app you’re using, you just tap and hold on the GIF to see a grid of sharing options. You can also get a larger view of any GIF to make sure you’ve selected the right one. You can’t beat free! 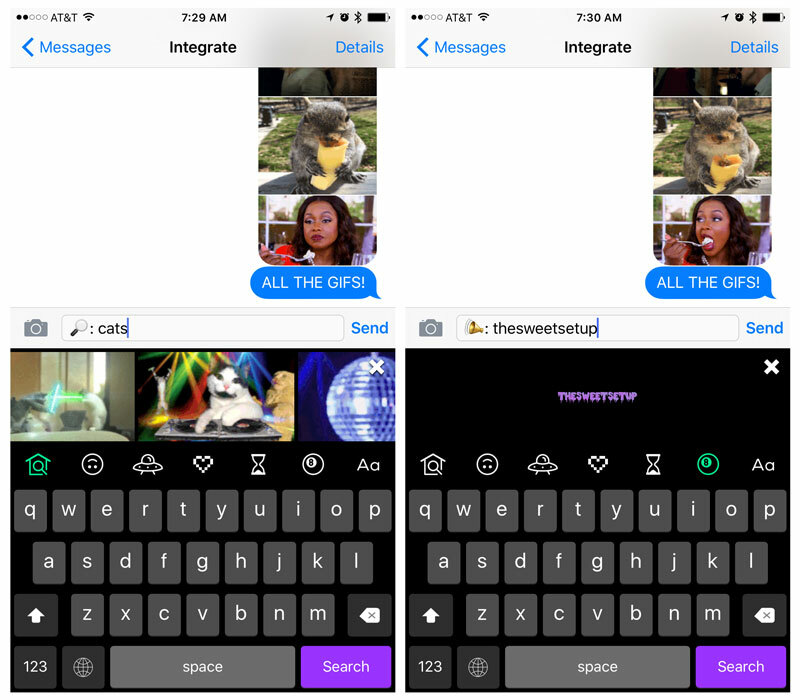 In fact, most of the GIF keyboards you’ll come across in the App Store are free. 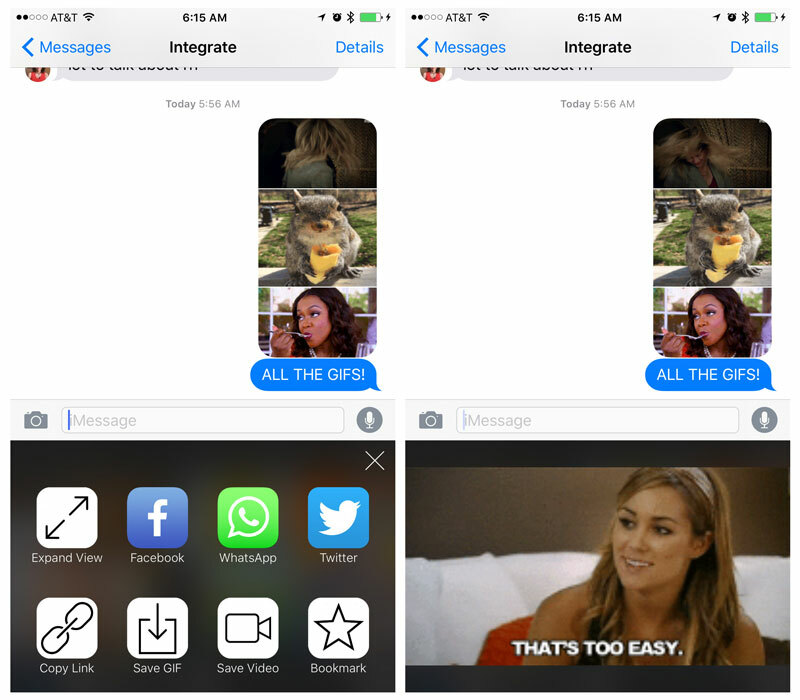 As for iGIF Keyboard, it’s a free app with a couple in-app purchases. If you’re looking to fancy up your typing, you can buy what the app calls “Fancy Fonts” for 99¢. The fonts are just groups of alternative characters that still look like the alphabet you’re used to. 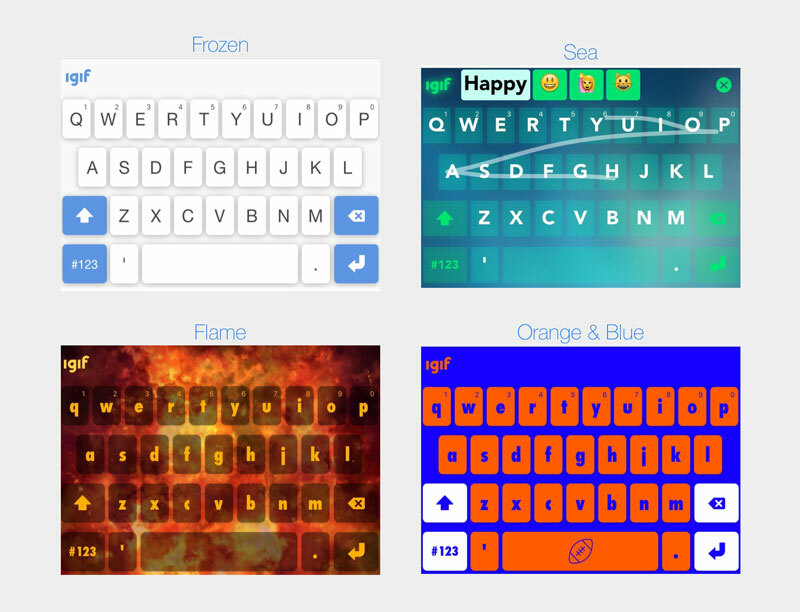 And if you’re really looking to spice things up, you can pay 99¢ to use an animated GIF as your keyboard theme. 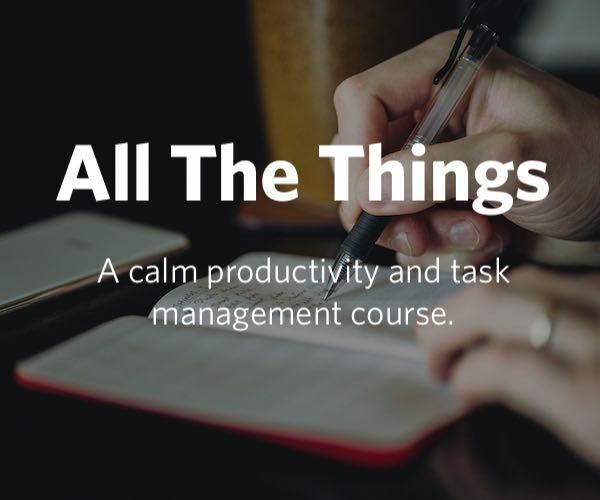 We’re not too keen on that level of busyness, but to each their own. While iGIF Keyboard certainly stood out amongst its peers, it could use a tune-up in a few places. It can take a really, really long time for the keyboard to load and convert Live Photos. It’s somewhat understandable — the app is converting Live Photos to GIFs on the fly, but it’s significantly slower and more buggy than the rest of the experience, so it sticks out like a bad GIF. Text suggestions can also be a bit buggy at times. On a few occasions, tapping a text suggestion appended the word to the end of the line instead of replacing the characters. e.g., typing “pota” and then choosing “potato” would make the word “potapotato.” You say potato, we say potapotato? This wouldn’t be a true GIF keyboard article without mention of GIPHY Keys, a free app in the App Store. If all you want is a keyboard that gets you GIFs and gets them fast, this is the GIF keyboard for you. Who better to create a GIF keyboard than the service that’s powering almost all the other GIF keyboards in the App Store? GIPHY Keys is a well-designed app that looks right at home on iOS. The keyboard trades in all the pomp and frills of other keyboard apps and focuses on what’s important (Hint: It’s GIFs). Across the top of the keyboard you’ll find a series of icons. You can use these icons to search through the entire GIPHY database, narrow your search to just reactions, find popular GIFs, store and find your favorites, surface GIFs you’ve recently used, and create animated phrases. To say GIPHY Keys is fast is an understatement. And when you think about it, the logic follows, given the keyboard is directly plugged in to GIPHY’s GIF library. The sharing options in GIPHY Keys are similar to iGIF Keyboard. You can snag a link to a GIF, share on Twitter and Facebook, post in Slack, etc. Just like iGIF Keyboard, you tap and hold to access sharing options. The only reason GIPHY Keys didn’t take our top pick for the best GIF keyboard for iOS is because it’s not too great a keyboard. There’s no autocorrect, no predictive text, no keyboard shortcuts, and no emoji. You can’t do this to us, GIPHY! PopKey, a free app in the App Store, gets to go home with the consolation prize because it was one of the first GIF keyboards on the market. PopKey is a long-standing, long-reigning GIF champion that touts its own GIF library and the ability to upload custom GIFs. It’s fast and super-simple to search, but the navigation can be clunky at times. Small touch targets mean tapping into GIFs unintentionally…which could turn out pretty poorly. That said, there’s a real-life editorial team that manages the app’s featured tab, so you can be sure you’ll have all the latest memes at the ready. We should also note the keyboard’s various sharing options are regularly updated to support new messaging apps and services. Picking the best GIF keyboard for iOS means picking one that stands out in a GIF-encumbered sea of incredibly similar offerings. 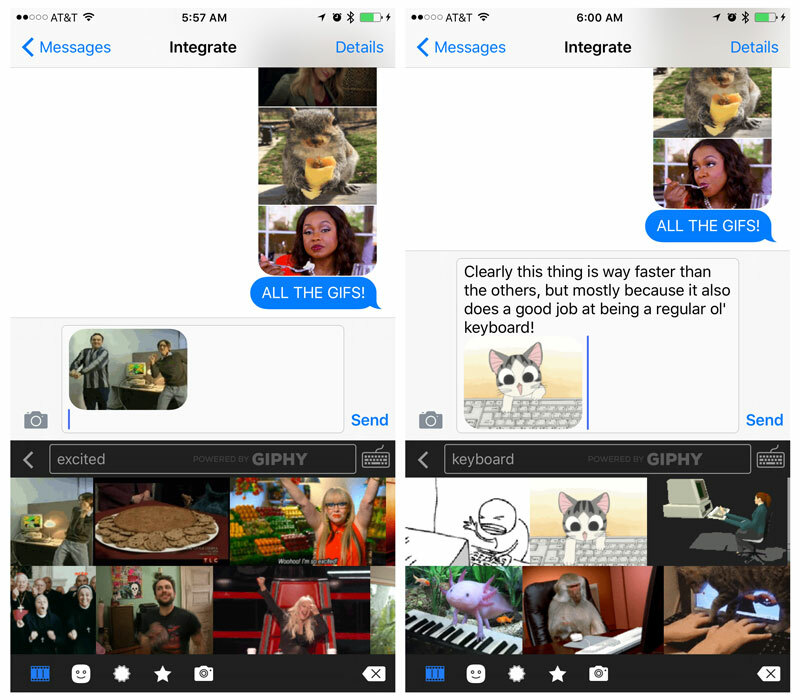 iGIF Keyboard does just that — it’s a full-featured keyboard, not just a tool for sharing GIFs. It’s fast, it’s free (for the most part), and it’s doggone good-looking. Plus, you just can’t beat being able to share your Live Photos with anyone without having to download a separate app. That said, if it’s just GIFs you’re after, GIPHY Keys is where it’s at. 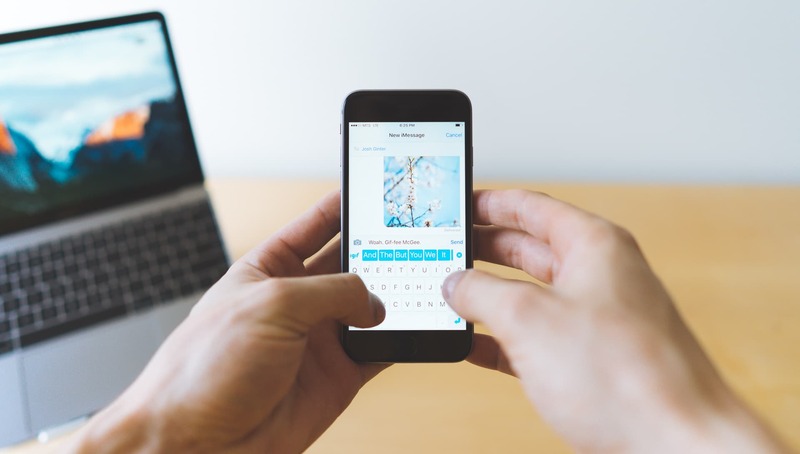 We’ve said it before and we’ll say it again: It’s the GIF keyboard created by the service that powers most other GIF keyboards; it’s destined to be a capable offering. If you’d rather skip the full-featured keyboard and are looking for something a little more customizable than GIPHY’s offering, however, then our honorable mention is where you should turn. PopKey has been around a long time and we quite like the option to upload our own GIFs for easy access. If, in the end, you’re feeling a little like Jon Stewart up there, we understand. When in doubt, iGIF Keyboard is the GIF keyboard for you, hands down. 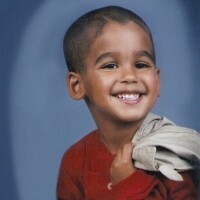 Mikah Sargent is a tech journalist and podcaster from somewhere in the middle of the U.S.